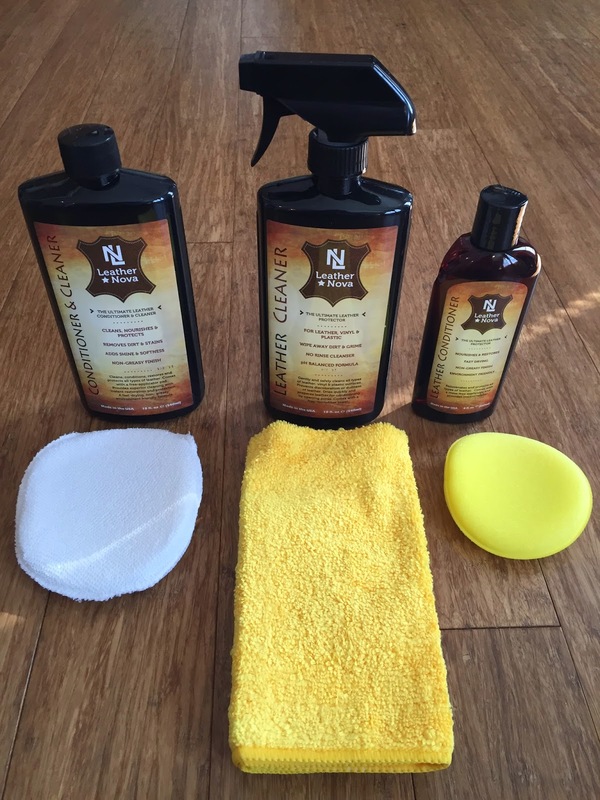 Frugal & Fabulous: Review: Leather Nova Leather Cleaner & Conditioners! Review: Leather Nova Leather Cleaner & Conditioners! I love my boots - but after this tough winter - they took a beating! They were covered in salt, dirt and grime and were not looking good. My leather boots were also very dry. Leather Nova Leather cleaners and conditioners restored my boots and made them look new again! First I took the Leather Nova Leather Cleaner (in the spray bottle) and sprayed the yellow microfiber cleaning cloth and then used the cloth to clean the boots. 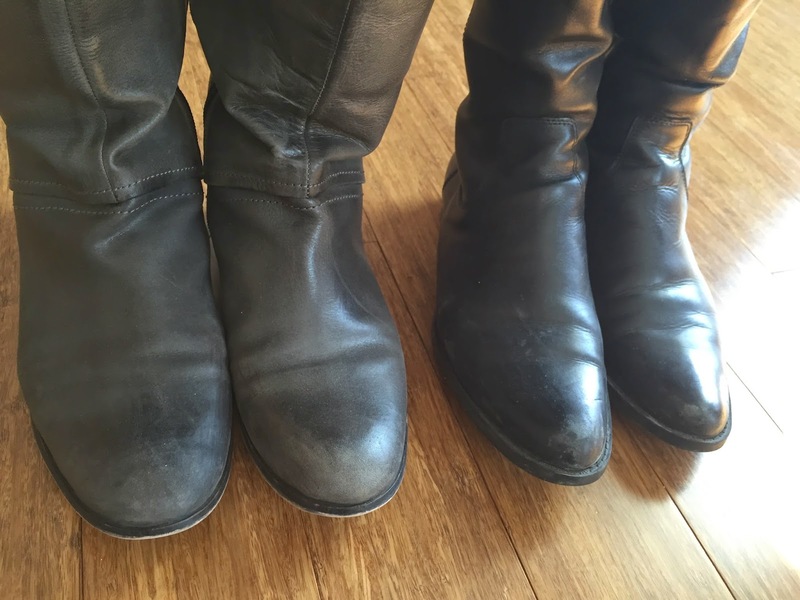 I could not believe how much came off the boots! 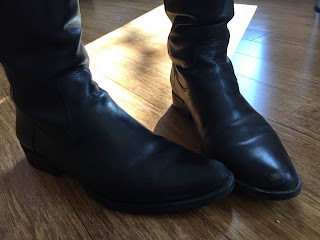 I tried this on my gray leather Luichiny boots and my (partial leather) black Calvin Klein boots. They looked really good! Next I applied the Leather Nova Leather Conditioner on the yellow sponge and used the sponge over the boots. This conditioner was amazing - my gray leather boots looked like they did when I got them over over two years ago! It brought out the tones in the leather and left the surface smooth and moisturized. My gray boots had also gotten to the point where they were so dry they were squeaking. After I applied the conditioner, or the cleaner and conditioner in one, the squeaking was drastically reduced! This product went on so easily and was not greasy at all. 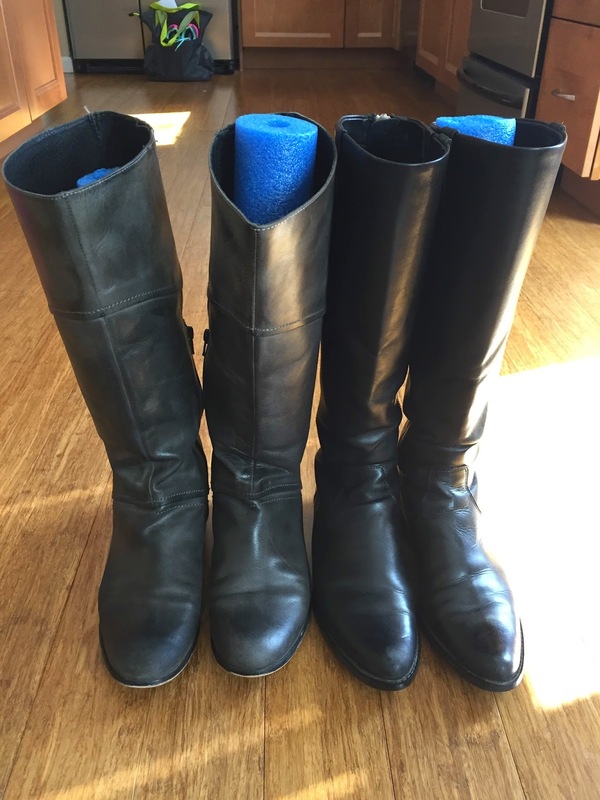 It went on with the cloth or sponge and basically absorbed right into the boots, leaving them looking clean and renewed! Leather Nova Leather Cleaner is a safe formula that can be used on all types of leather, vinyl and plastic surfaces. Unlike other leather cleaners, it does not contain any harsh detergents or toxic ingredients that dry out the leather and actually accelerate its aging process. Leather Nova Leather Conditioner provides safe and durable protection for all leather and vinyl surfaces by using high grade polymers which restore the leather to its original sheen. Monthly use maintains its natural suppleness and restores a rich leather fragrance. It leaves a non-greasy finish unlike other leather conditioners. Leather Nova Leather Conditioner & Cleaner provides effective and deep cleaning of all types of leather and vinyl surfaces. While removing dirt and stains from the leather surfaces, it also conditions and adds the vital nutrients to the leather to make it soft and supple. It includes only premium ingredients which clean, enrich, restore and protect your leather. It gives a non-greasy finish to avoid dust accumulation and prevent premature drying and cracking. 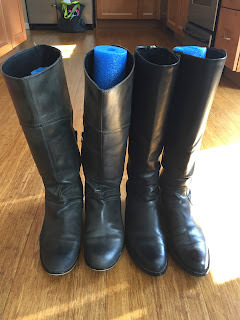 Verdict: I was really impressed with Leather Nova Leather Cleaners and Conditioners because they were: quick, easy to use, and looked awesome with very little effort! The whole process took me maybe five minutes - it took me longer to take the pictures! Leather Nova Leather Cleaners and Conditioners are available on Amazon.com and are under $20 a piece. A little goes a long way, this will last you a long time. Use it on your purse, your jacket, your couch - anything leather! Close up of my clean boots! * Disclosure: I received a product in exchange for this post. All opinions are my own.